Regent’s summer open field shoot attracted a hundred archers representing around twenty five clubs from a wise area; our group of twelve Scarborough field archers was the largest club contingent, our members shooting in four bow categories. The weather was perfect. Hot in the sun but nice and shaded in the woodland. 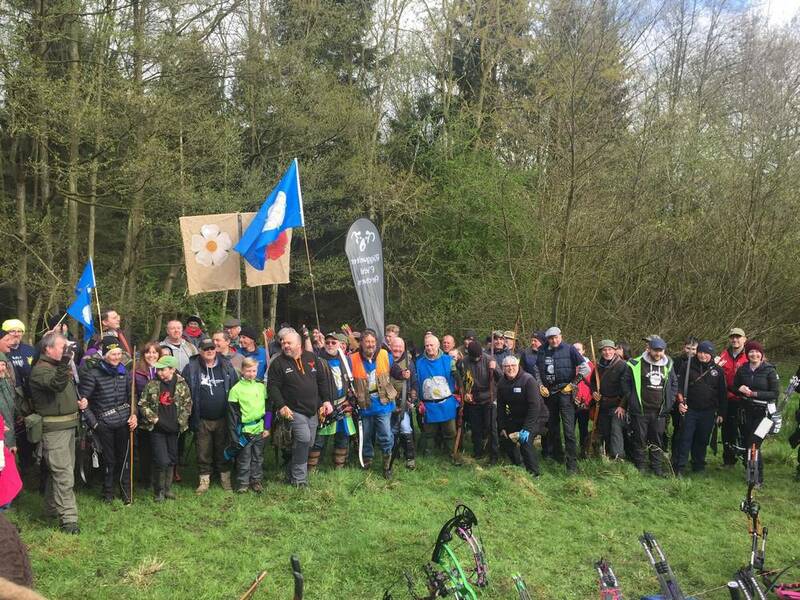 It’s surprising how a hundred archers can be absorbed into a woodland; once the start signal was given and shooting began we only came across other peg groups at the feeding station, a clever piece of organisation by the host club. The course of forty 3D targets gave us plenty of challenges with uphill and downhill shots. 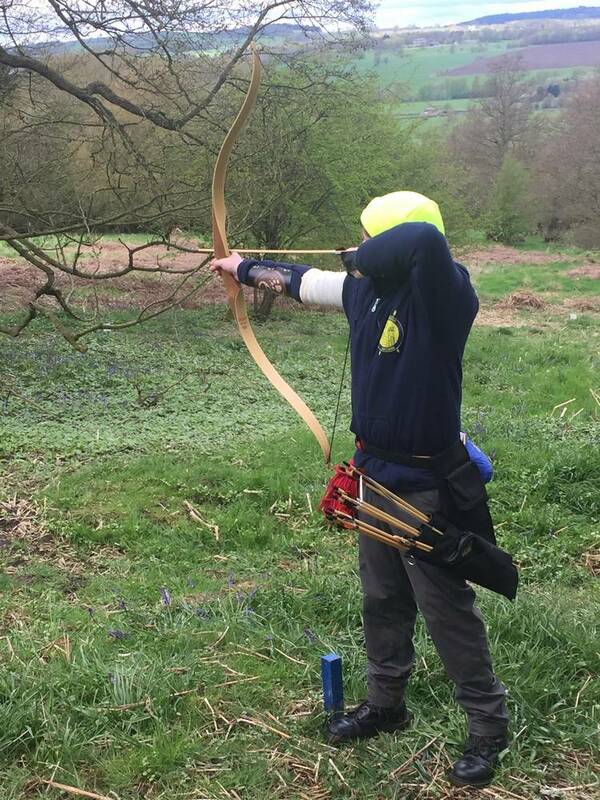 Field archers are very sociable people and the meeting proved t be the usual good humoured experience, full of banter, fun and friendly support. Once again ur reliable juniors Dylan and Ben came away with gold medals. 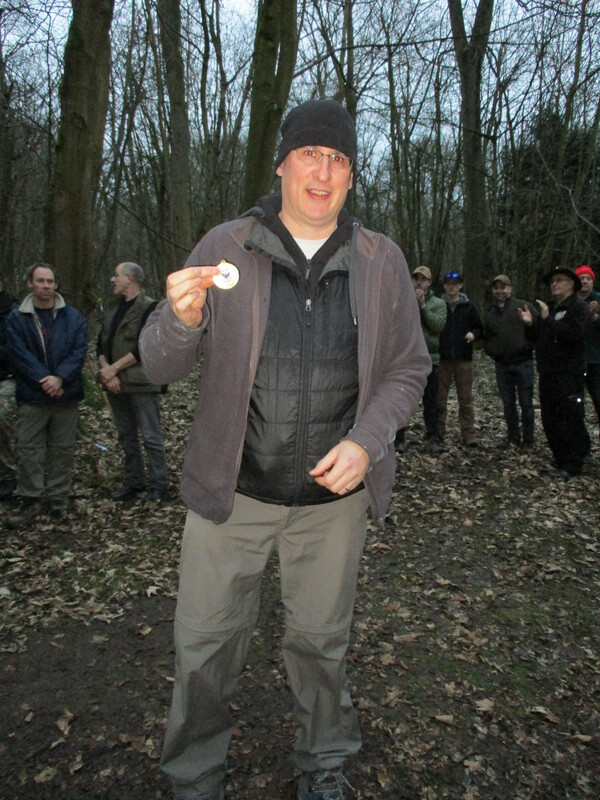 Our big people produced high scores and Tim won a silver medal in the new Bow Hunter class. (He also won a gold medal in the under sixteen section!) and accounting error by the scorer which produced some interesting comments from the archers at the presentation ceremony. The error was quickly corrected. A very pleasant day, in good company, in a beautiful English woodland. What more can you ask? What a great day! The weather at its best, the course bone dry, lots of new 3D targets to shoot at and plenty of food and drink at critical times. Ten Scarborians met in the shade of the trees, bacon bun in one hand, mug f tea in the other, score cards clamped between the teeth. It was hot; sunshine, tea and bacon roll. We met with field archers from several clubs to contest the annual Northern challenge Tournament over a course of thirty six, all 3D targets from an owl hidden in a tree, a wild cat climbing up a tree trunk, birds suspended from flexible wires, deer hidden in the undergrowth… every target set as a challenge to the archers skill. A quick chat with members at lunch time indicated that we were all doing quite well, especially ur two juniors dylan and Ben who were heading for spectacularly high scores of over five hundred points. fortunately the afternoon session continued in the same mode and we ended up with a haul of six bright shiny medals. Ben won the junior gold medal, closely followed by Dylan with the silver medal. Keith won gold in AFB. 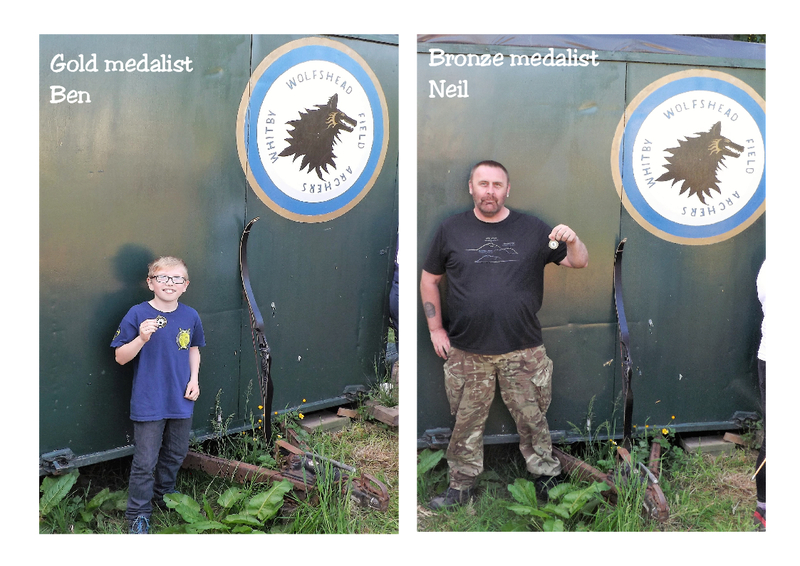 Andy B. won silver and Colin Bronze in Long bow, Time won silver in the new hunter class. Everyone produced personal best scores. Scarborian Field Archers are becoming a force to be reckoned with in open competitions as we continue to field a large team of enthusiastic archers. Well done to all. Glorious warm summer weather provided the setting for Wolfshead’s open field archery competition. Our club supported the shoot with twelve members shooting in six different bow styles. Field archery is a strange sport; with the exception of two members, the rest of us achieved poorer scores than we did over the same course in foul weather conditions; no one could explain why that should be. 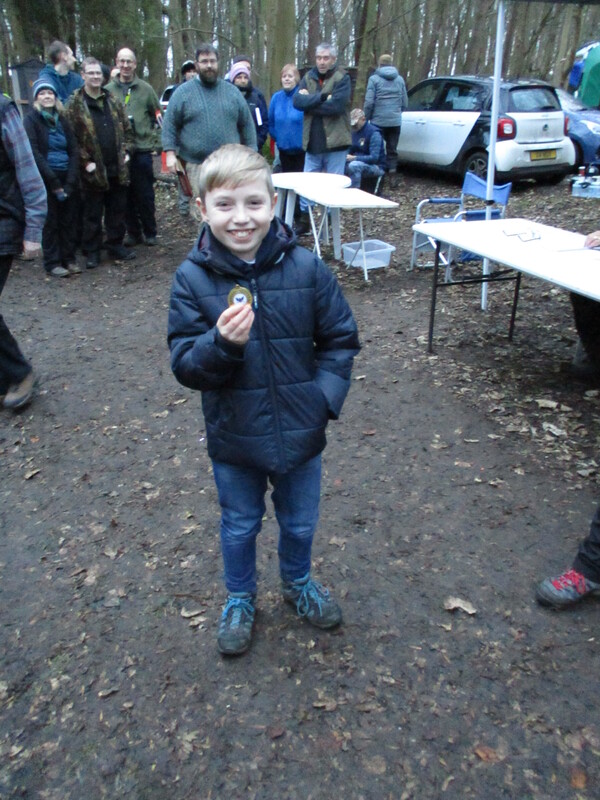 Thankfully club honour was upheld, once again, by young Ben who came away with another gold medal to add to his growing collection and Neil who surprised himself by winning a bronze medal in only his second open competition. Well done to both. We were delighted to be joined for the shoot by John R. a.k.a. Sheffield John, (ex-club member who moved down south) who came up for the day to shoot with his old mates… I wonder if that had anything to do with our performance? Another great supporting turn out by our Scarborians. Next shoot – Wild Geese… onwards and upwards! 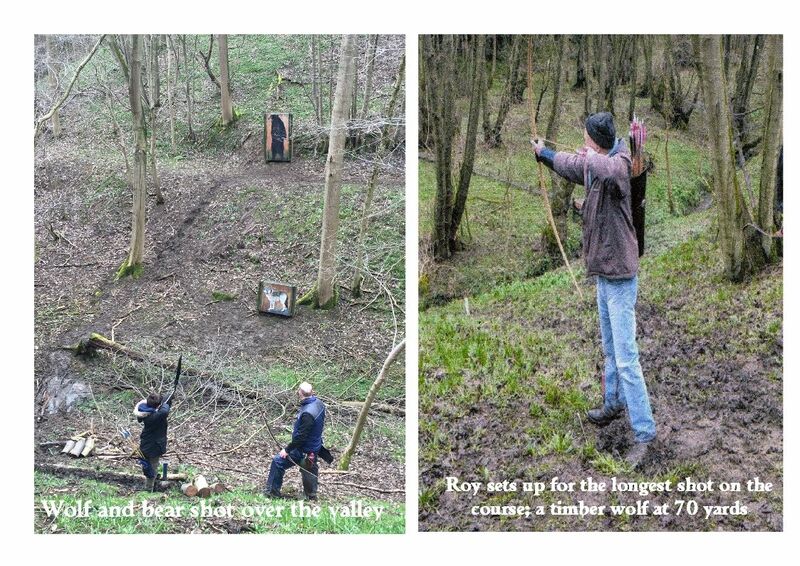 Five stout hearted men of Scarborough heard the call and and set out ridiculously early on Sunday 29th April to compete for the honour of Yorkshire at Riggwelter in the War of the Roses shoot. Early drizzle didn’t dampen the hearts of Adam, Graham, Andy, Keith and John (bacon and sausage butties probably helped) and an excellent days shooting was enjoyed by all. 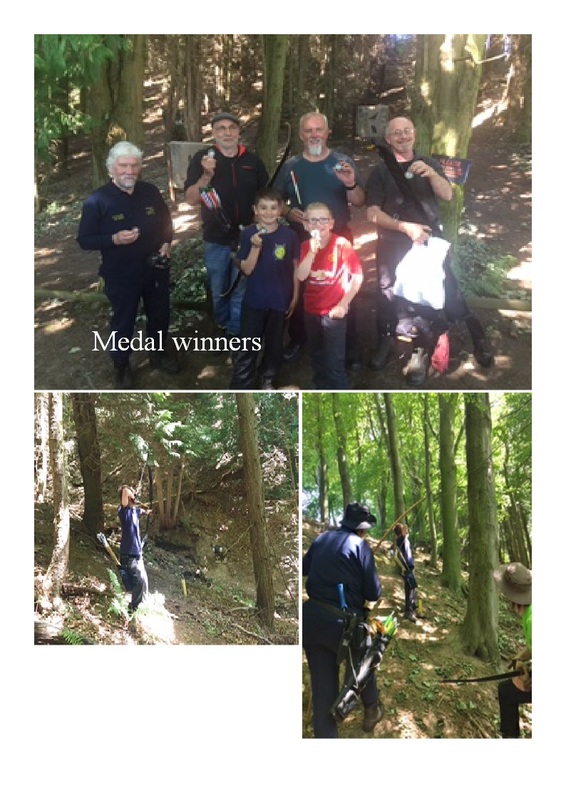 Some tricky woodland shots and boggy slopes challenged the archers but in the end victory was ours and an inferior Lancashire team was vanquished (only by 10 points). We all played our part, but only Adam came home with a medal. You don’t have to be draft, but it certainly helps; when you try to shoot in snow showers and ankle deep mud on a saturated field course. 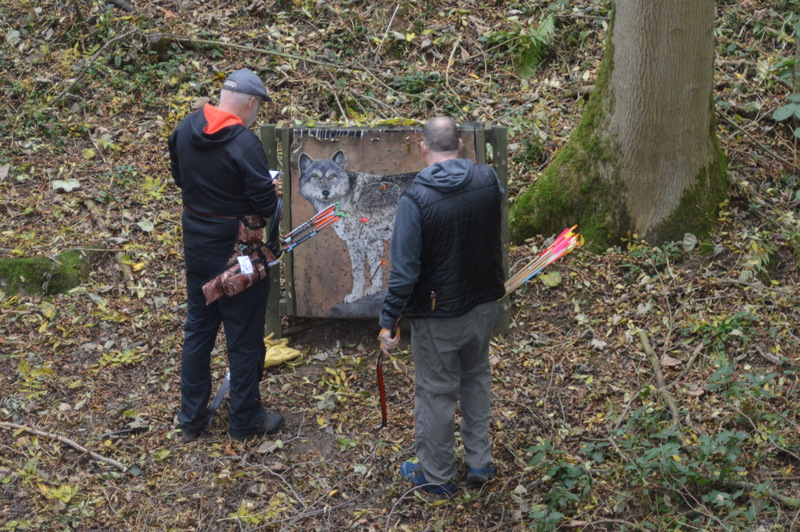 No moving targets, just moving archers, as we slid down the hillsides whilst trying to keep a foot against a red peg. It hurts even more when your fellow archers won’t let you have the score because of your misplace foot. Twelve of us turned out to represent our Scarborian group, ten seniors and our ever cheerful and enthusiastic juniors Ben and Dylan, who did us proud by both winning gold medals. 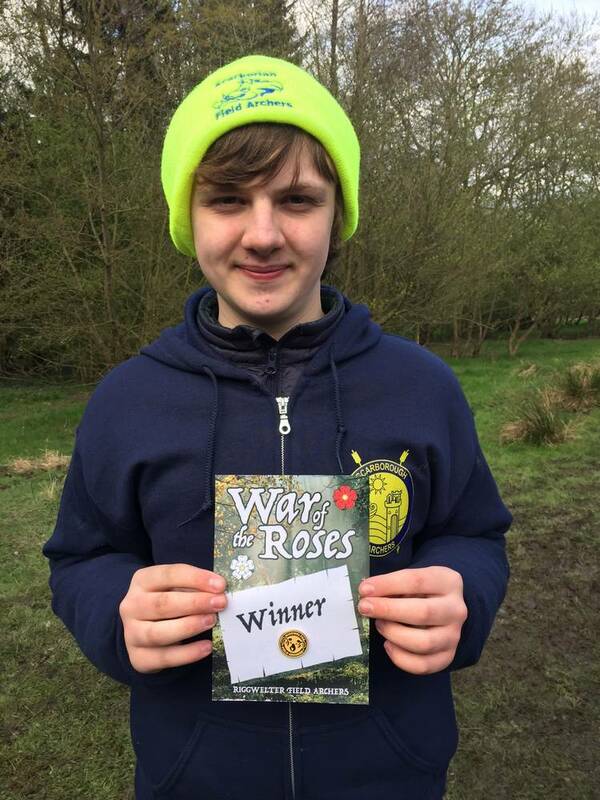 Roy came away with his best open result with a gold medal in the longbow class. Keith and Colin added bronze medals to our club haul of five, our best open result so far. As you will see from the photographs we were slathered in mud from falls, mud holes and desperate attempts to stay on our feet, mud holes and desperate attempts to stay on our feet and look like professional archers. This course is challenging in perfect conditions… add rain, snow and quagmire and it becomes almost impossible. But we did it, and came away with smiles on our faces. Well done to all our members. Let’s hope for some better weather soon. Wolfshead Field Shoot (25th Feb) – The Crocodile gets it. Finally…. 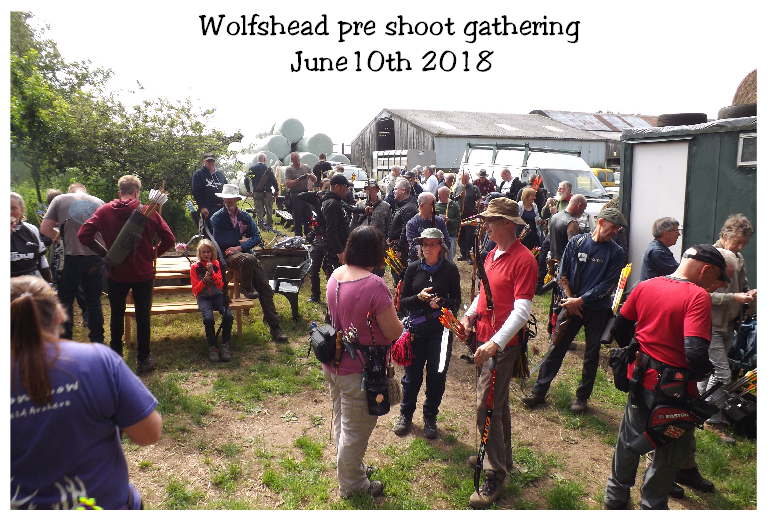 With only a short drive ahead of us, the Wolfshead field shoot, is always a great day out. Although it can be tough under foot, with some tricky long shots that can prove quite a challenge for those that aren’t used to the distances, it always goes down well with all members that turn up. With a bitterly cold wind effecting fingers, toes and shooting conditions, we weren’t expecting any amazing scores on the day. It even effected those that wrapped up too tightly, with one archer being overheard saying “I’m in urgent need of a wee but I’ve got so many layers of clothing on I’m not sure I can find it”. Credit where credit is due though despite our initial doubts, scoring was decent. Graham and Adam, both got the infamous Crocodile shot, a long distance shot, with a very thin target, which has evaded most of the shooters. Getting two hits from two people in the same group is fantastic. Winners on the day, were Colin, Dillon, Andy B. and Adam, who brought home the spoils. In a rare occurrence Andy W. didn’t win on the raffle, with his luck finally ending. We seem to be making a habit of winning medals at the minute, let’s hope it continues in the future. With Christmas over, it was time to get back into the swing of things and possibly burn off those extra calories from eating too many mince pies. It was one of the biggest turnouts club wise, with over 15 members showing up on the day, with a wide range of new and veteran members taking part for the club. The recent rainfall didn’t help the already muddy conditions, making it more of a slip and slide than a field shoot competition. Although the improvement in the course proved itself popular, with many challenging shots now being part of the shoot. Not content on having our highest ever showing on the day, we also had one of our most successful days medal wise. Although we will keep quiet on Andy’s record of winning six prizes in the raffle. 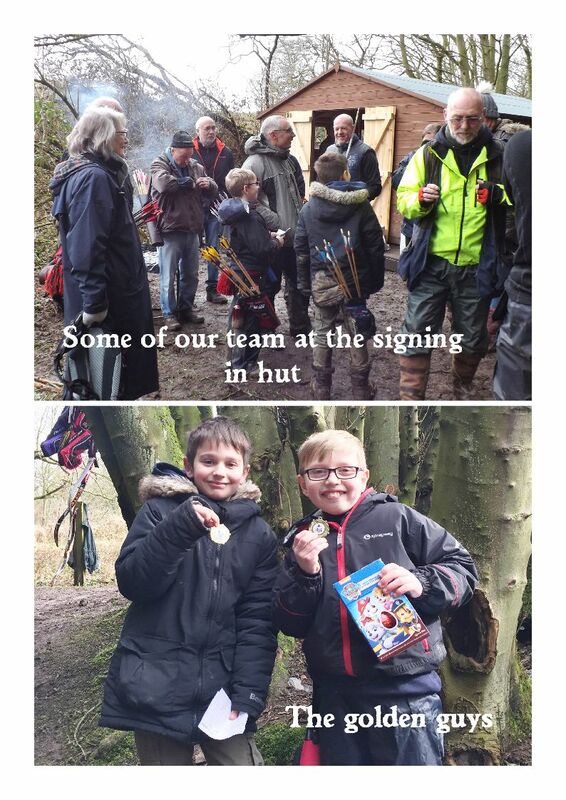 A great day once again, at Regent Field Archers. Well done on everyone who took part in the first field shoot of the year. Next one is Wolfshead.